The Self Center Slumper™ is a new and exciting slumping mold that creates deep drop lamps. It is featured in Jayne's new book, Illuminated Art Glass. 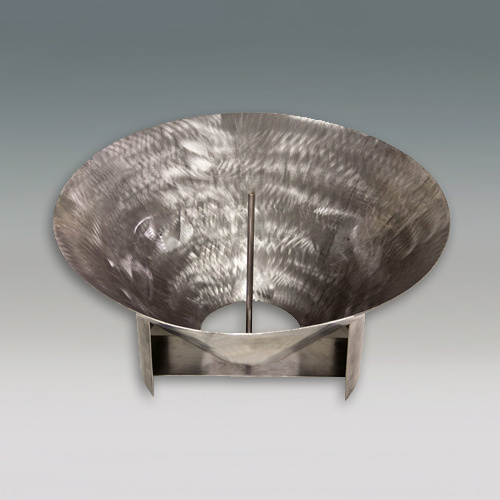 This paten pending mold uses an innovative process to keep the lamp centered and balanced in a single firing. The mold is stainless steel and it has a vertical center rod to guide the glass as it slumps into the mold. The mold is approx. 10" high and 18" in diameter. Each mold is custom made and will be shipped within 10 - 14 days from order date.